Free Dim Mak Project Video - Get Your Copy Now! Get your Free Dim Mak Project Video Now! Get a Free Dim Mak Project Video! Are you ready to learn about the world of Dim Mak? Then sit tight, and get ready to get a Free Dim Mak Project Video! 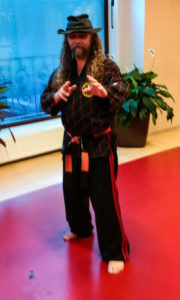 What is the difference between Dim Mak and Kyusho Jitsu? Is there really any difference? The answer is a resounding YES! What is the Dim Mak Project? Well do you believe in the death touch? That you can hit a person in a certain way or place and cause a “delayed death?” If you believe it is possible, this MAY BE the MOST IMPORTANT MESSAGE You will read all YEAR! After years of intense study of the human body, talk with medical people and my work in Kyusho I think I have found the root of Dim Mak and how it works. This is an actually video from a class I taught online back in December 2017! Thank you for your interest in our Free Dim Mak Project Video. 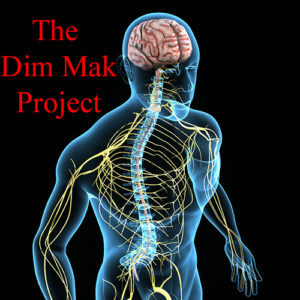 You will be added to an information list about the Dim Mak Project. However you do not have to stay! You can either ignore the email requesting permission to add you, or leave the list anytime you chose to! This will will send you more information on the Dim Mak Project.